California-based Cohesity, a start-up in converged secondary storage space, founded by ex-Google engineer Mohit Aron, said the firm will invest $10 million in India over the next two years in research and development. It has roped in Apurv Gupta, also an ex-Googler, to head Cohesity India as it launched operations on Tuesday. The company, backed by Sequoia Capital, Wing Venture Capital, ARTIS Ventures, Google Ventures, Qualcomm Ventures, Accel Partners, Battery Ventures, and Trinity Ventures, plans to hire 25 people for its India centre. The company converges secondary storage workflows, which includes data protection, development and analytics, onto a single, intelligent platform. It closed Series A round of $15 million led by Sequoia Capital and Wing Venture Capital in late 2013, followed up last month by a $55 million Series B investment round led by ARTIS Ventures and Qualcomm Incorporated. It looks to eliminate the current fragmentation and data sprawl in secondary storage by leveraging a Google-like, web-scale architecture that empowers businesses to simultaneously manage, protect and learn from their data. 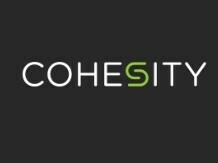 Cohesity was founded in June 2013 by chief executive officer Mohit Aron. Prior to this, Aron co-founded Bengaluru-based infrastructure company in primary storage space Nutanix and served as its chief technology officer before leaving to build Cohesity. “Secondary storage makes up over 80% of an organisation’s data — it’s where the majority of data goes to die today, so it’s exactly the right place to run data analytics, transforming the value of this previously passive data,” said Aron. According to Aron, the global secondary storage market is about $60 billion of which about $5-10 billion is the India share.